We have a wealth of engineering expertise. This combines new product design and continuous product development with the capability to provide a first class service to every customer, whatever their particular requirements. 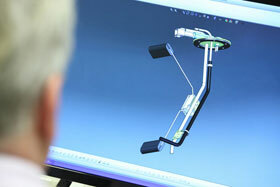 Specialist design, quality and product engineering teams are totally integrated at the Birmingham manufacturing facility. They work in close partnership with clients, enabling innovative new products to be brought to market quickly. Electronic testing equipment ensures all products are manufactured to the highest specifications. A clear focus on engineering excellence applies equally across the entire product offering - from custom-designed vehicle specific products such as fuel senders, fuel lines and PCV valves to the universally-fitted emergency lighting range.